Nextdoor Tezel Trails is an online or mobile app, which allows you to communicate with residents in the Tezel Trails community. There are also adjoining neighborhoods that use the Nextdoor App. This website uses residency authentication technology for your protection with the intent to help neighbors build a stronger and safer community. Go to www.nextdoor.com and enter your name and address to find Tezel Trails. It is not instant access as they need to verify you are the resident of the address you provided. As a member, you can find other neighbors in the directory, share tips, tricks and other information, post lost pet news, post classified ads or find a neighbor for babysitting, housecleaning or gardening! You can choose to receive posts as frequently as you wish via email or non at all. Be a part of the community conversation online with Neighborhood Alerts, upcoming event information, and so much more. It is a free service and recommended by local law enforcement. Go sign up free today! Unfortunately, street parking has become an issue. The Board of Directors has contracted a towing service. Please be aware that beginning mid-March 2016, any vehicles left parked in the street between 2am-6am will be towed at the owner’s expense. 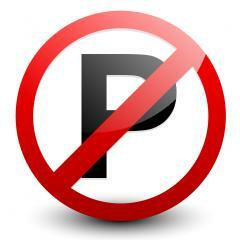 No automobiles or other vehicles may be parked overnight on any roadway within the Subdivision. Thank you for your cooperation to this matter. The Tezel Trails Board of Directors will be having their quarterly meeting on Saturday, Jan 19th at 9:00 am. The meeting will be held at cul-de-sac in community.